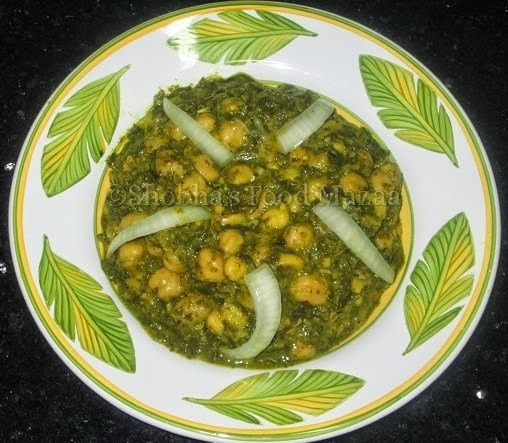 Chickpeas or chana cooked with spinach is a very good combo and a healthy protein rich dish. Chana ...... 1 can (200 gms) or 1/2 cup chana - soak and boil them. Lime juice ... 1 tbsp. * I use this as a substitute to the cream. You may use cream instead or skip it. 1. Heat little oil in a pan and add the palak. Saute a little and add chana. 2. Add 1 cup water and let it simmer for 15-20 minutes. 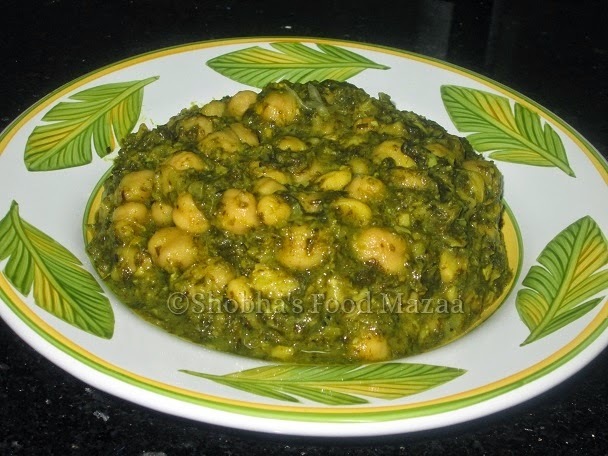 The chana from the can usually is under-cooked. If it is soft then you add it later. 3. Add green chillies and salt. 4. For tempering, heat a little oil/ghee in a pan. Saute the crushed garlic. 5. Add the finely chopped onion and fry till it is translucent. Now tip in the spice powders and a little salt. 7. Mix this in the chana palak and simmer it for a minute. Finally add the lime juice. This can be served with rotis, naans, bhaturas. This is a protien and vitamin packed dish and very healthy. 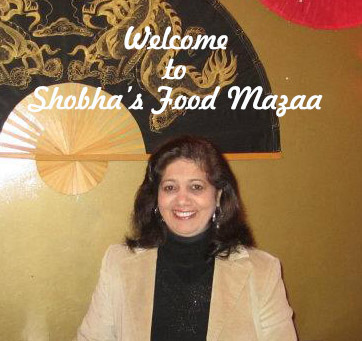 Nice healthy and perfect dish with rotis!! Thanks for linking to the event!! Thanks Sravs. it is a very healthy dish. Looks delicious. Thanks for the entry dear. This is the second time today I've seen chickpeas with spinach ...and it sounds so good. I think it's a sign that I need to make some. It sounds delicious. Thank you so much for sharing it w/ MLLA this month =). I like spinach very much. it's delicious & healthy. Healthy and easy recipe best for kids. Yes, very good for growing kids. Healthy combo and looks so tasty! Great! My daughter loved it very much.